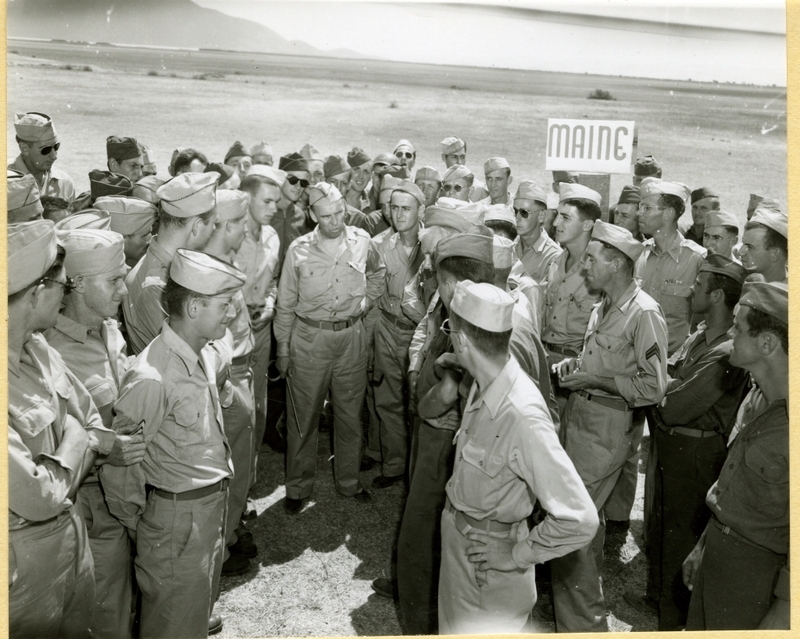 Sen. Brewster (center) speaks with servicemen from his home state of Maine. Capt. Charles F. Brewster is pictured at front, with head turned away from the camera. This photograph is part of a series detailing the 1943 official tour of allied war zones by five U.S. Senators: Ralph Owen Brewster (R-ME), Albert B Chandler (D-KY), Henry Cabot Lodge Jr. (R-MA), James M. Mead (D-NY), and Richard B. Russell (D-GA).